CHARLOTTESVILLE, Va. (AP) _ The acting director of the Office of National Drug Control Policy will give the keynote address at a conference in Charlottesville. Michael Botticelli’s speech is just one item on the agenda of Thursday’s daylong Virginia Heroin and Prescription Drug Summit. Also scheduled are panel discussions on stories of tragedy and survival, state heroin data and policy and legislative strategies. The event is being coordinated by the attorney general’s office and the state Office of Public Safety and Homeland Security. 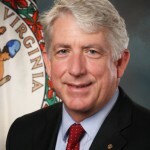 It’s part of a five-step plan recently announced by Attorney General Mark Herring to combat prescription drug and heroin abuse. Herring says state figures show that fatal heroin overdoses rose from 103 in 2011 to 197 in 2013.